Well placed light effects for a better communication and comfort. 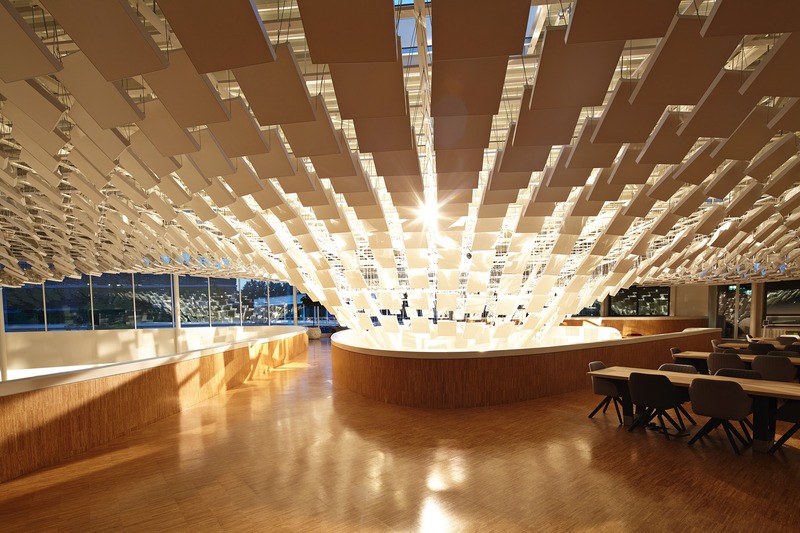 Golden light shines through a canopy of leaves to create a unique gathering space in the atrium of the new Philips Lighting headquarters in Eindhoven. 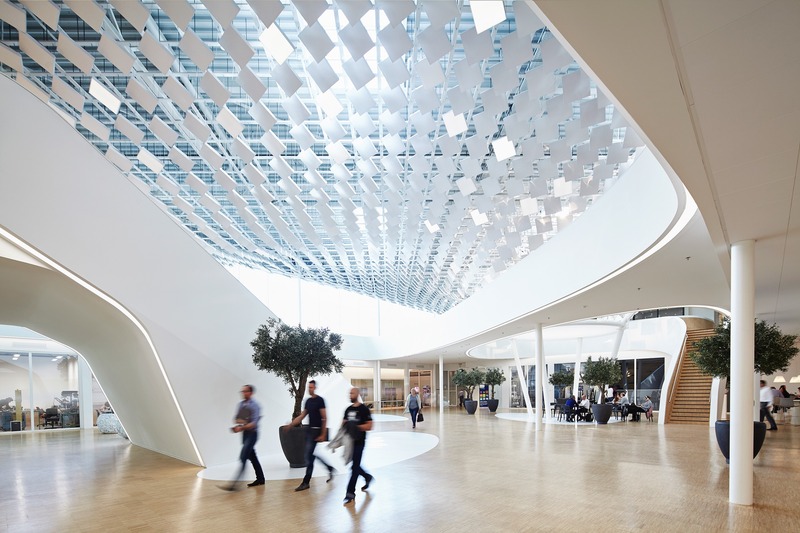 Intelligent lights in the parametric designed ‘tree’ generate different scenarios, boosting communication, interchange and wellbeing for staff and visitors. LAVA, with partners INBO and JHK, designed the adaptation of the mid 20th century building for the new headquarters. 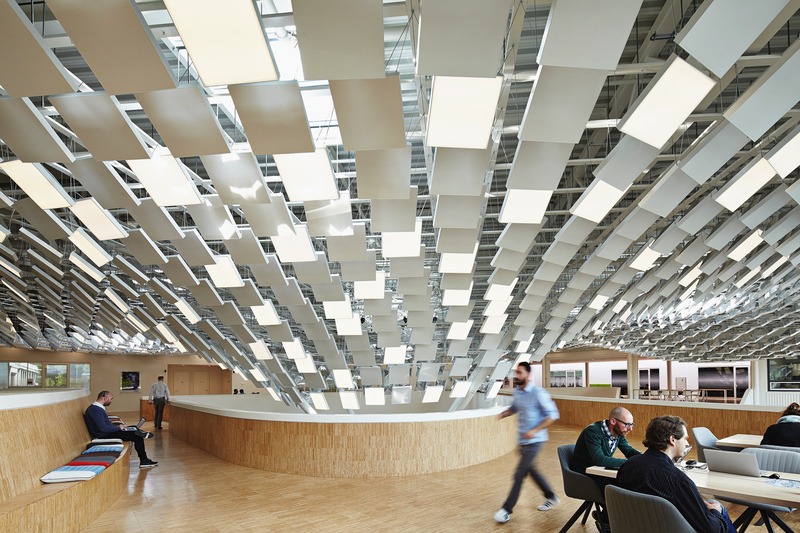 The aim was to design public and work spaces that embrace the innovative, people-centric values of lighting technology company Philips. 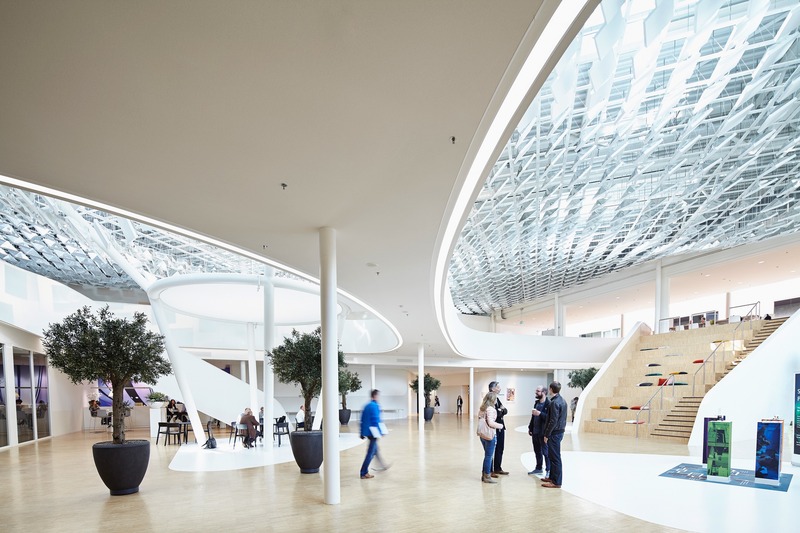 The atrium also brings people together by congregating core activities such as exhibitions, meeting rooms, coffee bar, public talks and staff meetings, and is also the entrance to the new Philips Lighting Application Centre. 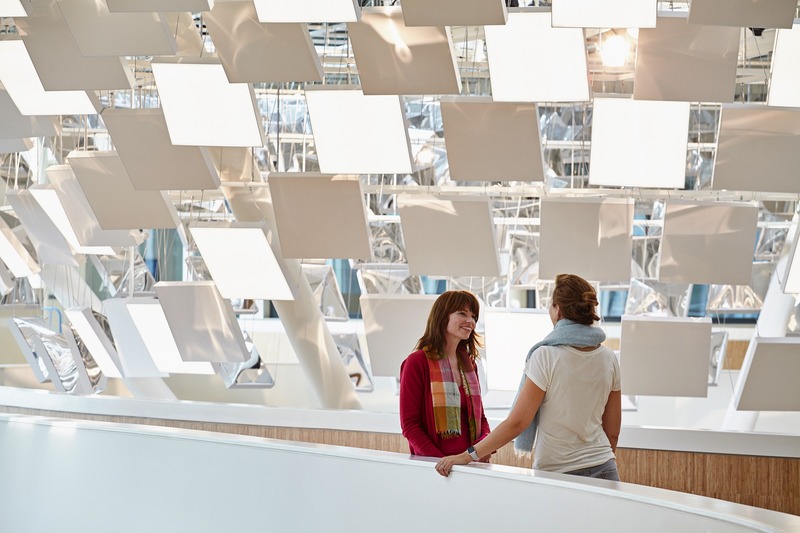 Staff and visitors are greeted in the central atrium by LAVA’s huge parametrically designed interactive light ‘tree’ comprised of 1500 ‘leaves’, hanging pyramidal panels suspended from the ceiling. 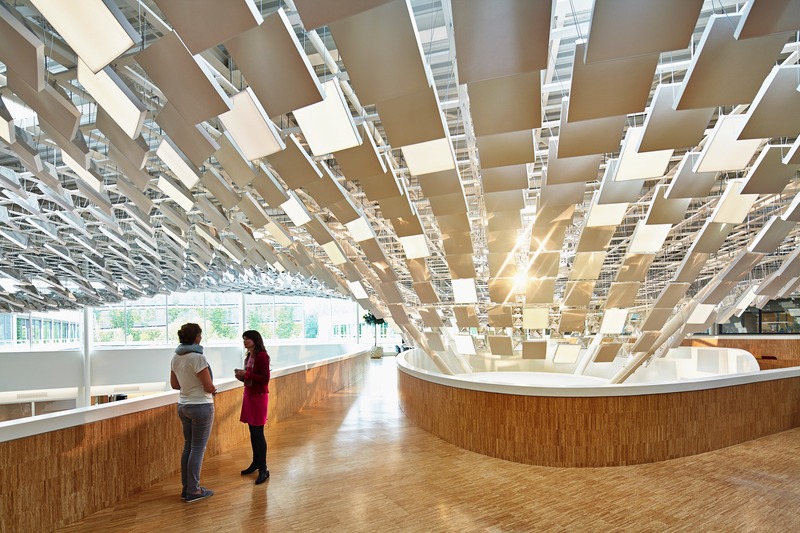 The concept is of light filtering through trees. Covering the whole atrium ceiling the sculpture demonstrates the behaviour of light, both natural and artificial: reflection, diffusion and emission. 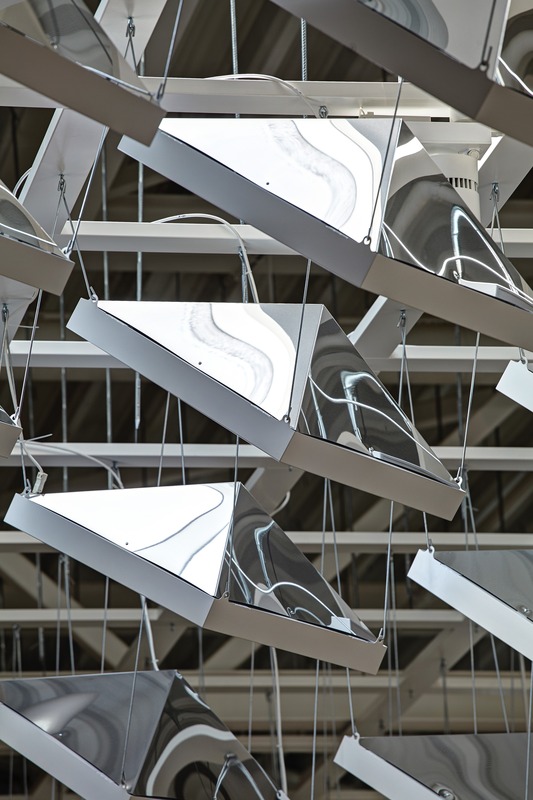 “Light was obviously the main driver but LAVA’s design goes beyond just showcasing technical solutions – it explores a deeper understanding of the nature of light. Light is only visible to the human eye when it reflects on something, so the sculpture gives shape and visibility to light,” said Alexander Rieck, director of LAVA. A reflective surface on the back of each panel creates a play of light and shadow. 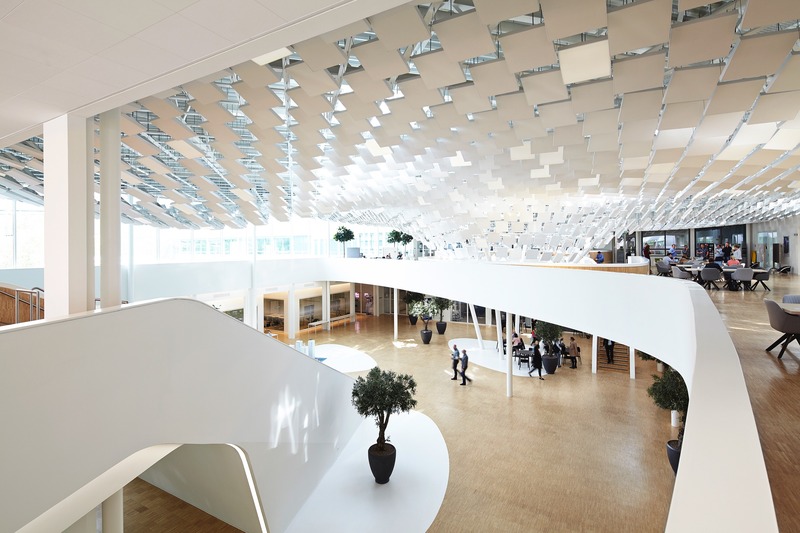 It also filters and reflects natural light from the atrium side windows and skylights. 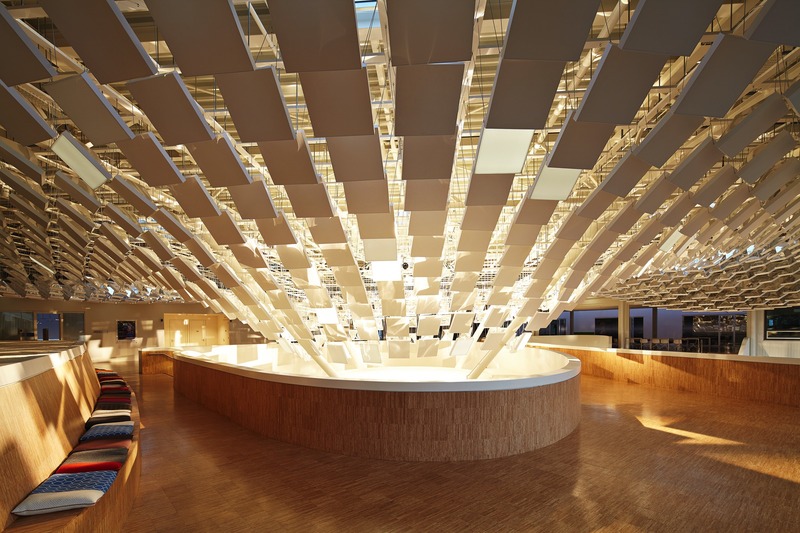 Five hundred panels use self-emitting Philips Ecophon Soundlight - an integral product that consists of comfortable LED lighting with sound absorption in an integrated light and acoustic ceiling system. “The iconic design not only gives visitors an amazing experience and a transition from the entrance to offices and the LAC, but also reflects this innovative and forward-thinking company,” he added. 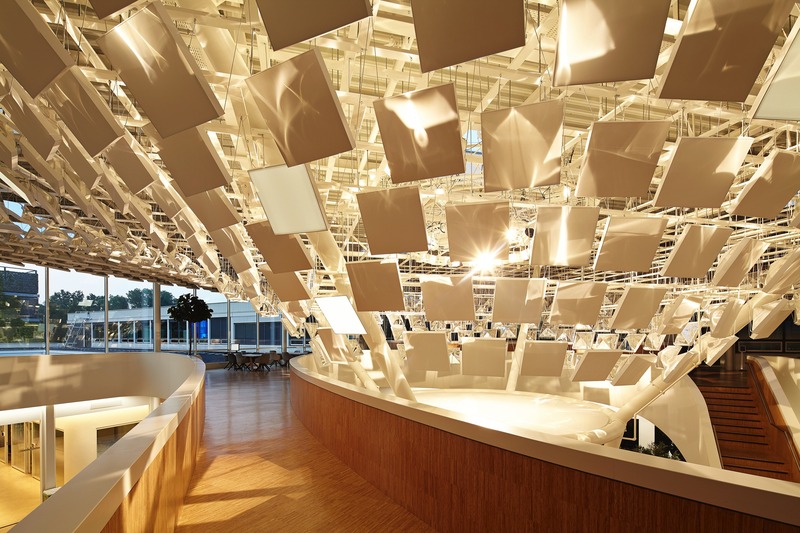 The offices were designed to foster creativity with a more flexible and efficient use of space. 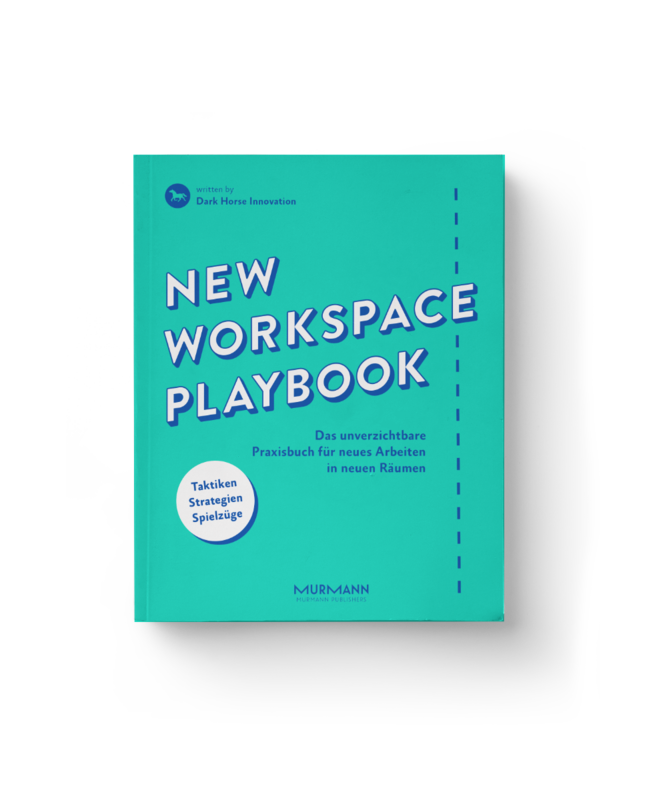 Spaces were designed to encourage informal ‘accidental’ interactions, known to be a key enhancer of success in R&D businesses. 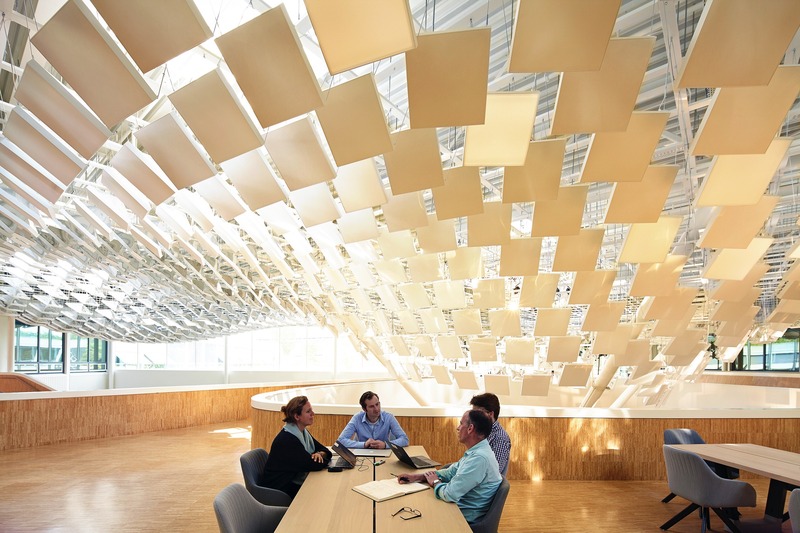 Special environments were created for different work situations – from concentration to communication, activation to relaxation. Other factors such as variable visual fields, perceived security, acoustics, smell, lighting, materials and textures contribute to an effective and harmonious work environment, which meets the highest standards of the innovative workspace layout WPI (work place innovation). 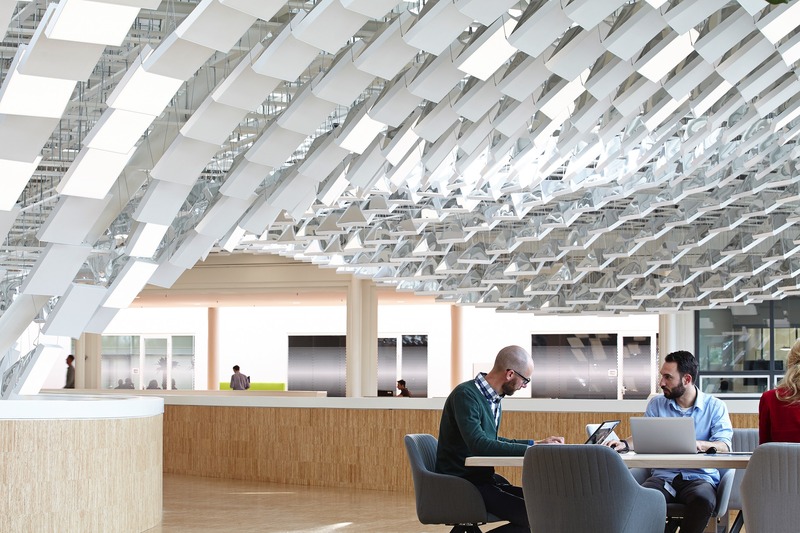 The design was developed using the latest workspace research and Philip’s experience with recent fit-out experiments plus an intensive cycle of interviews and design meetings involving the end users and building management.